The Belgian grocer may sell to larger rival Ahold. The two are worth 26 bln euros combined, they’re neighbours in Europe, and both have sizeable U.S. arms. Even with modest potential cost savings and the 15 pct rise in Delhaize shares, the bidder might find another 15 pct. 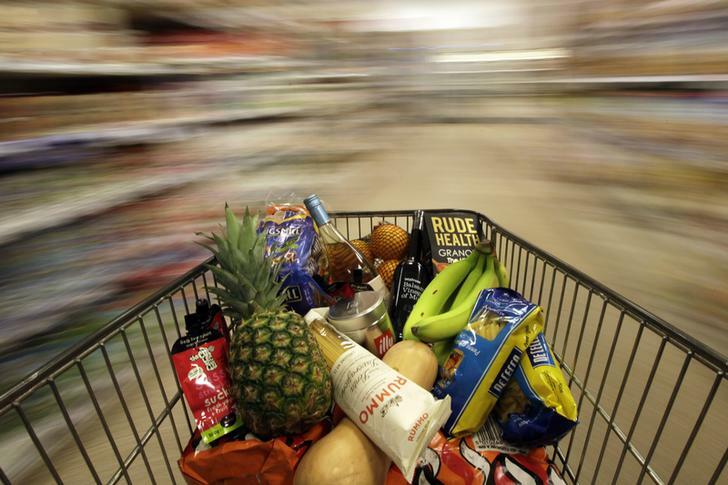 A shopping trolley is pushed around a supermarket in London, Britain May 19, 2015. Dutch grocery retailer Ahold and its Belgian counterpart Delhaize are in merger talks, the latter said on May 12.